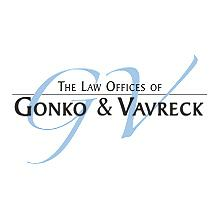 At Gonko & Vavreck, PLLC, in Minneapolis, Minnesota, our attorneys are dedicated to vigorously representing our clients in the areas of consumer protection, personal injury, and civil litigation. We represent clients throughout the Twin Cities, Greater Minnesota, Wisconsin, and nationwide. The attorneys at our law firm have more than 30 years of combined experience. We are dedicated to ensuring our clients have the representation they deserve and the advocacy they require during complex civil litigation or criminal prosecution. We’ve had a significant focus over the years on consumer protection matters because we know that when our clients deal with debt collectors and collection agencies, they have legal rights even though they may owe the debt. Our law firm’s attorneys stand ready to file lawsuits on behalf of our clients against abusive debt collectors, whether it be in state or federal court on behalf of individuals and in class action proceedings. We obtain financial settlements for our clients when their legal rights have been violated by unethical debt collectors. We also have extensive experience bringing claims against banks, creditors and collection firms who refuse to correct errors on credit reports. Typically, our clients do not pay us directly for our services because our legal fees are paid by the debt collectors and other defendants pursuant to the Fair Debt Collection Practices Act or Fair Credit Reporting Act. We know our personal injury clients are highly stressed after their accidents. Not only do they need to recover from their injuries, but they also often have catastrophic medical expenses and significant lost wages. In addition, personal injury law can be complex and challenging. Insurance companies, whether your own or the defendant’s, are there to minimize your claims and minimize what you deserve. We guide our clients through the legal process and obtain the fair compensation they deserve. Over the years we have recovered millions of dollars for our clients through settlement, trial, arbitration and mediation. Gonko & Vavreck, PLLC, is conveniently located in the North Loop neighborhood adjacent to downtown Minneapolis. We are easy to get to, and our clients can actually find parking. Our law firm offers free initial consultations and accepts credit cards.